Integrators need to educate customers better that ‘wireless’ audio does not mean ‘no new wires,’ and installing a cable-less system is not necessarily less labor intensive. Wireless has its place when used properly, but it doesn’t mean no new wires. 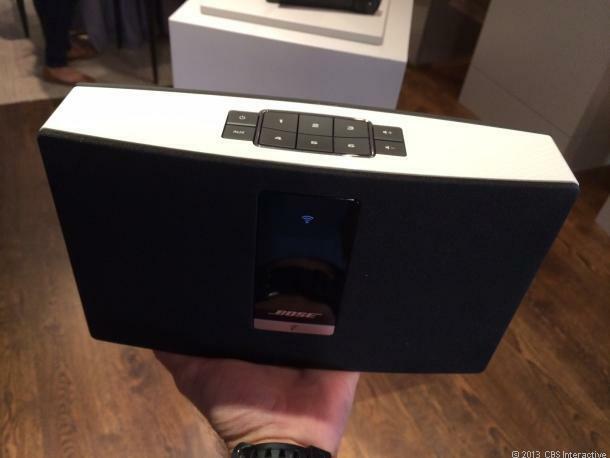 It is obvious many custom manufacturers of multiroom audio systems are pinning their hopes for 2014 on new wireless audio products. Wireless is a wonderful solution; it eliminates the need to pre-wire a house and can be installed as a retrofit. 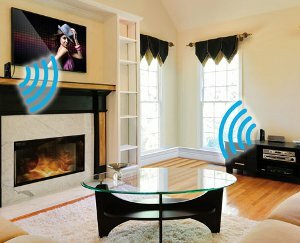 Now that video can be transmitted around the home via wireless, audio transmission should be a breeze. However, not wanting to be a wet rag, I would suggest caution. If anything sounds too good to be true, you can bet there is more to the story. When it comes to distributing audio around the home without cables, we should have a look at the practical implications more carefully. Wireless, of course is not new. My first foray into it was in the late 1960s with a wireless remote volume control. It was a fantastic idea—a little box was placed between the pre and power amplifiers so the level could be adjusted from your armchair. It worked well most of the time, but not all the time. On occasion it was slow to respond, which was quite irritating. But the real problem was when you pushed the “up” button, on occasions, it did not stop and then it would continue to increase the level unaided to full output, often destroying very expensive speakers. Through the years wireless has greatly improved, but in a world hungry for convenience, for every improvement in wireless technology there has be a consequential demand to make it deliver more. For that reason it has never been perfect. Maybe 99 percent right at times but never 100 percent. You may ask why is 99 percent not a good result? Those experienced in remote systems are well aware how unforgiving consumers are if they are not directly in front of a component. Now with IP-based solutions, we have upped the ante transmitting audio wirelessly as well as system control through the home. As good as we are getting with latency, the slightest drop out of signal can be very frustrating to most consumers. As convenient as it is, a smart installer knows wireless can be fickle and when problems arise it can expose them to a lot of hassle and call backs, so hardwiring will always be their preference. To consumers, wireless solutions mean “no need to wire at all” to save costs and absolve them from need to employ an integrator or electrician or do any forward planning. The consumer needs to be better informed. Being from an audiophile background, long runs of speaker cable around the home have always been an anathema to me. If it is accepted, you should use good quality speaker cable to prevent signal losses to your speakers when they are just across the room from the amplifier. Running poor quality speaker cable (as our industry does) to the other end of a house must be wrong. So why do we do it? Let’s look at why. Where do you put an amplifier in a bathroom? Even in a bedroom where you normally have a closet space available, generally homeowners don’t like electrical components hidden away in them. Putting them in ceilings sitting next to the speakers amongst the insulation material can be messy. Centrally located amplifiers in an equipment closet and nasty long speaker cable runs have been the norm. If finding an amplifier location is hard, finding a convenient power point for it is even harder. The situation is no different to the plethora of wireless speakers coming on the market implying “no wires required.” Of course there are wires; each speaker has a thick power cord running out the back of it looking for a power point. In multiroom audio this can be very inconvenient as it introduces the need for a high-voltage installer (electrician) to be involved in the installation procedure adding complexity and expense to the installation. If the employment of an electrician is to be avoided you, have to contend most power points are located at floor level and most multiroom audio speakers are located in ceilings. In between there is a cabling job to be done, so wireless is not necessarily cableless! Wireless definitely has its place when used properly. Bluetooth in most instances simply replaces the need for a patch lead. It is designed to work within a room over a short distance, making it highly reliable. Now your phone has become your personal entertainment system, having a local Bluetooth wireless connection in each room is becoming a very important consumer feature. So where is the wireless cost savings? First look at the additional cost of a power point per room and second at wiring additional IP points—a sensible installer wouldn’t risk a “wireless only” installation. Then look at the higher cost of amplification each with its own power supply and weigh these factors against cost of running cable. 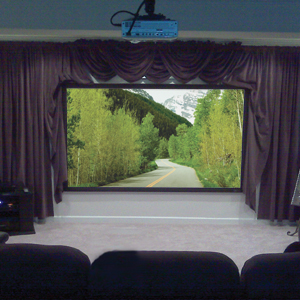 This budget-friendly home theater, and its 106-inch screen, provided the finishing touch to a finished basement. One of the first things Phillip Thomas did after buying his 3,300-square-foot single-family home was finish the basement. He put in a bar, built a bedroom for his college-age son and threw in a nice-size bathroom. But he always felt that something was missing: a home theater. Since the basement was already finished and furnished, all of the money could go toward audio/video equipment and installation. That didn’t mean, however, that White could go crazy with the cash. “I had to be very careful about the products I selected,” he says. Obviously, the price of each component would need to fit the budget. But it was also important that the products chosen could be installed easily and would require minimal programming, White says. Oh, and the equipment would need to perform to the family’s expectations. One of those expectations was a huge display. “I would settle for nothing less than 100 inches,” says Thomas. Consequently, the largest portion of the budget, $1,000, was allocated to a 106-inch projection screen from Draper. To avoid going over budget, fancy accessories like a motor that allows the screen to roll down from the ceiling were excluded. A 720p Optoma projector finished off the projection system. Although it lacks the Full HD resolution of a 1080p model, it saved the Thomases more than $2,000. White made sure to run HDMI (high-definition multimedia interface) and extra Category 5 cabling to the projector location “just in case the Thomases ever decide to upgrade,” he says. The entire video setup came in at $2,000, which was about the same price as a much smaller 65-inch plasma or LCD TV. White also stuck with the basics when it came to the audio/video receiver. The Denon AVR-590 is a quality piece, he says, but with one missing feature: HDMI upconverting. White explains, “A receiver with HDMI upconverting requires just one HDMI cable between the receiver and the projector. With it, any signal from any component will be upconverted to the 720p resolution of the projector.” The “HDMI switching feature” of the AVR-590, on the other hand, required White to route several additional cables from each component to the projector. The switching feature simply allows the signal from the connected source components to pass through to the projector without any enhancement in resolution. It was a minor sacrifice, White says, to save nearly $1,000. Two fewer speakers would need to be purchased by going with a 5.1 surround-sound setup instead of a 7.1 system, and in-ceiling models would minimize the cost to have them installed. “It’s usually easier to fish wiring through the ceiling to in-ceiling speakers than go through the ceiling and down the wall to install in-wall speakers because there are fewer obstacles,” says White. “It takes no more than five minutes to install an in-ceiling speaker compared to anywhere between 20 minutes to two hours for an in-wall model.” The 75-watts-per-channel rating of the five Proficient units may be less than the 100-watts per channel of the company’s higher-end units, but the Thomases saved $1,500 by sticking with the mid-grade models. A final contributor to the savings was a stripped-down control device. The only two source components in the theater are a DirecTV satellite receiver and an upscaling DVD player, so the family didn’t need anything fancy, and so programming the URC MX-900 remote was basic.